Your teeth are covered with a hard, protective top layer called enamel. 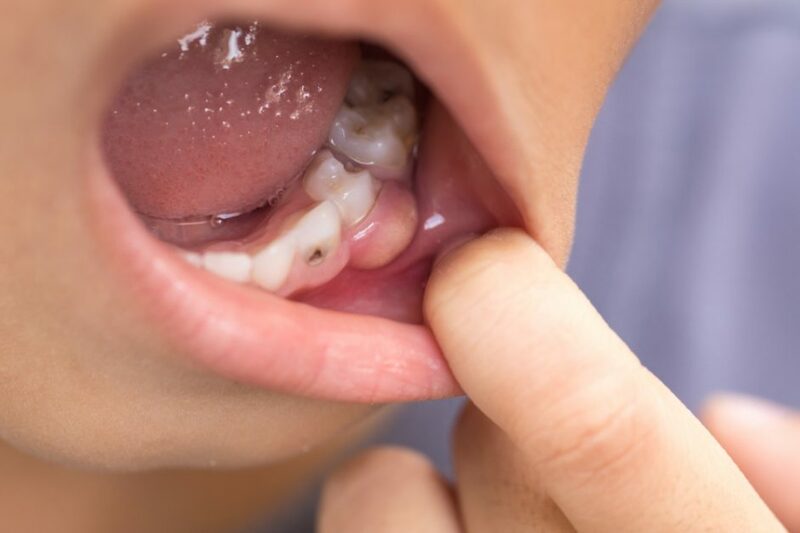 This hard layer is weakened by acids produced by bacteria and causes decay in the tooth, causing the formation of pit /defect in the tooth or a cavity. When food particles and bacteria are left on your teeth for a long period of time, it can cause decay and cavities. After minutes of consuming foods and beverages, plaque which is a naturally occurring biofilm, begins to form on your teeth. This plaque not only holds bacteria on your teeth, but if not removed after every meal begins to harden into tartar which cannot be removed simply with brushing and flossing. Tartar can make it hard to brush and floss that can cause cavities and tooth decay. Tooth decay mainly occurs due to food containing carbohydrates being trapped between teeth. These trapped food particles facilitate growth of plaque bacteria. These bacteria generate acidic by-products that weaken the tooth enamel and slowly create holes in your teeth called cavities. If left untreated, these holes can grow over time and even destroy the whole tooth. Sugary and sticky food and beverage are mostly to blame for decay as the more sugar is consumed, the more acid is produced, leading to more decay. Sugar combines with plaque and eats away at the enamel, causing tooth decay. Tooth decay can have several symptoms. It starts with increased tooth sensitivity to hot and cold. You will also notice consistent toothaches and later on, noticeable holes and pits in the affected tooth. Treatment for cavities or tooth decay is based on the severity of the cavity or decay. The most common treatment for cavities includes having your cavity filled. When your tooth decay has progressed to cavities, the dentist will first remove the decayed material from the tooth, and the space left is filled with tooth colored resin / amalgam or a combination of materials to restore the tooth shape. In cases where decay is severe, dental crowns are used in place of dental fillings. Dental crowns are a type of “cap” that is put on top of your tooth. When the tooth is too damaged, to simply fill in, the damaged part is taken out, and the crown is fitted on top of remaining teeth or implants.